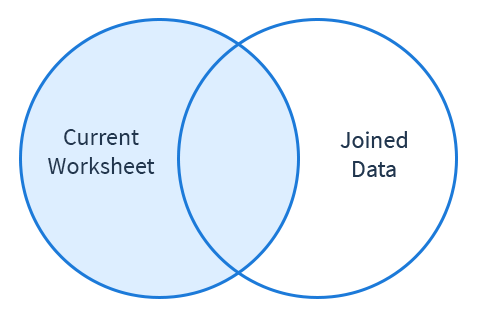 Lookup returns all of the rows in your Current Worksheet and all of matching data from the rows in the Joined Data without adding any rows to the Current Worksheet. When there is more than one match, Sigma shows a * to indicate that the Joined Data has more than one row with matching data. The Lookup join functions similarly to the VLOOKUP formula in Excel. 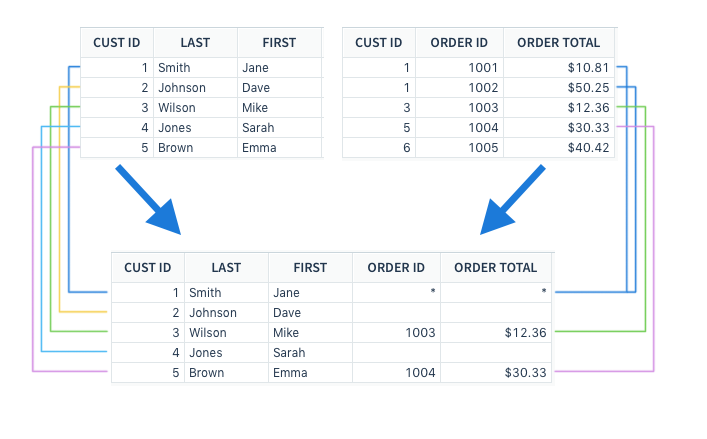 In the example below, we are using Lookup to join a customer information table with an order information table. We are using Customer ID, shown in columns CUST ID, as the Join Key. There is more than one order from Customer ID 1 in the order table, so Sigma displays a * in place of pulling in any information. This preserves the number of rows in the Customer Information Table.